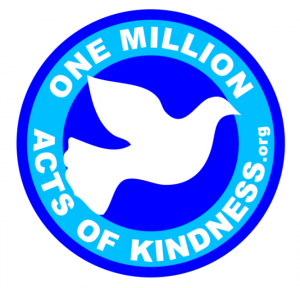 Five weeks from today is the start of the fifth annual One Million Acts of Kindness Week. This year the dates are February 10th through the 16th. During this week we encourage you to perform a community effort that needs to be done. It can be as easy as helping a neighbor with chores or as big as your imagination will carry you. All acts, big or small, will have a huge impact in someone’s life. A link to sign up for One Million Acts Of Kindness Week is below. This entry was posted on Wednesday, January 8th, 2014 at 8:43 am	and is filed under Kindness. You can follow any responses to this entry through the RSS 2.0 feed. You can leave a response, or trackback from your own site.